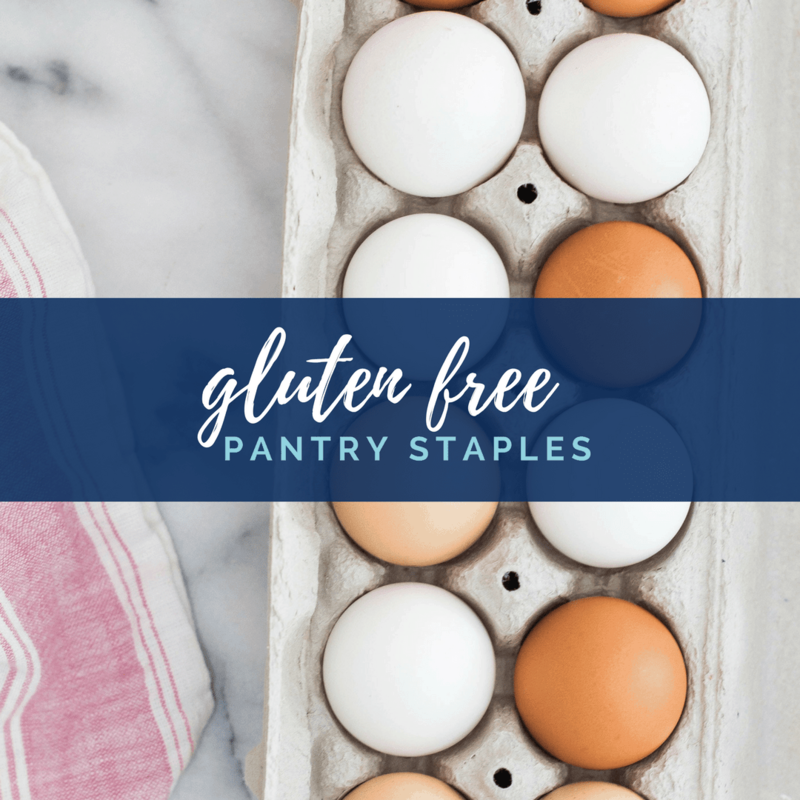 A complete and thorough list of my gluten free pantry staples to help you stock your kitchen. I recently started a shop on my website where I’ve compiled many of my favorite gluten free pantry staples. It’s a great place to look and see exactly what I’m using in my kitchen. In addition to ingredients, I’ve also included some of my favorite cookbooks and kitchen equipment. While it’s great for shopping or browsing, it doesn’t leave me much room for why I love those ingredients or what I use them for which is why I decided to put it all into a blog post. Here I could share with you the ingredients that I consider staples, why I use them, and which brands I prefer. It’s also a much more extensive list of products. This is a massive list of all the items I consider pantry staples for gluten free eating, baking, and cooking. While some of the products (like snacks) might be up to your own taste preferences, these are favorites for my family and me. And to be clear – I was not paid to include any brands in this list of gluten free pantry staples. I have worked with some of these brands in the past but these gluten free pantry staples are all products I truly USE, LOVE, and RECOMMEND. DISCLAIMER – Always be sure to read your labels before purchasing or consuming as ingredients are subject to change at any time. 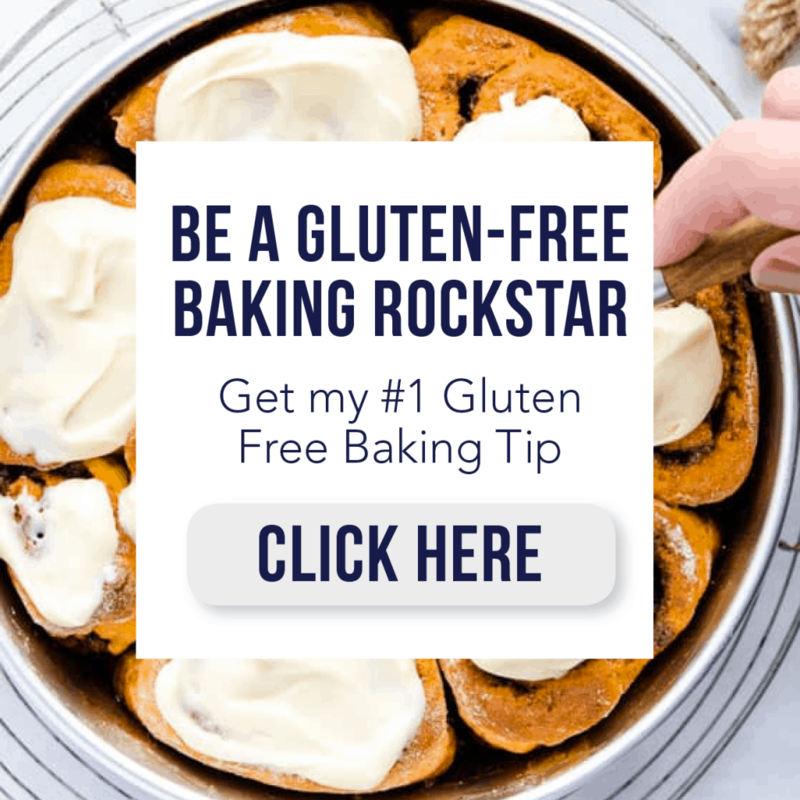 Bob’s Red Mill 1:1 Gluten Free Flour – I love this flour for baking and it’s my go-to flour for my sugar cookies and chocolate sugar cookies. I also use it for my gingerbread house this year and it worked perfectly. gfJules – Jules has a really wonderful gluten free flour blend that was voted #1 by 90000+ consumers. I have used it a few times and I really liked it for biscuits. Brown Rice Flour – Brown rice flour is one of the main flours in my own gluten free flour blend. I mostly use Bob’s Red Mill but Anthony’s is also good and Thrive Market has a good Organic Sprouted Brown Rice Flour. White Rice Flour – I use Bob’s Red Mill White Rice Flour when I make my own flour blend. I find that it’s ground fine enough and does not leave my baked goods with an off-putting gritty texture. I use this combined with brown rice flour and starches. I’ve also made my own white rice flour by grinding white rice in my Mock Mill KitchenAid attachment. I ran the rice through the grinder 3 times on the finest setting and it worked great in my fudgy gluten free brownies. Tapioca Flour – Tapioca is one of the flours I use for my own gluten free flour blends. I also like to use it as a thickener for gravy, custard, and as a coating for meat before the egg wash and breadcrumbs. I use Bob’s Red Mill Tapioca Flour but Anthony’s Tapioca Flour is great too. Potato Starch – I used potato starch in my white rice flour blend and my gluten free flour blend. Since discovering that having too many potato products makes me feel pretty sick, I’ve since stopped using those blends regularly. I now use my nightshade free flour blend unless I use one of the all purpose flours listed above. Xanthan Gum – My nightshade free flour blend does not have any xanthan gum in it, unlike Bob’s 1:1 flour. 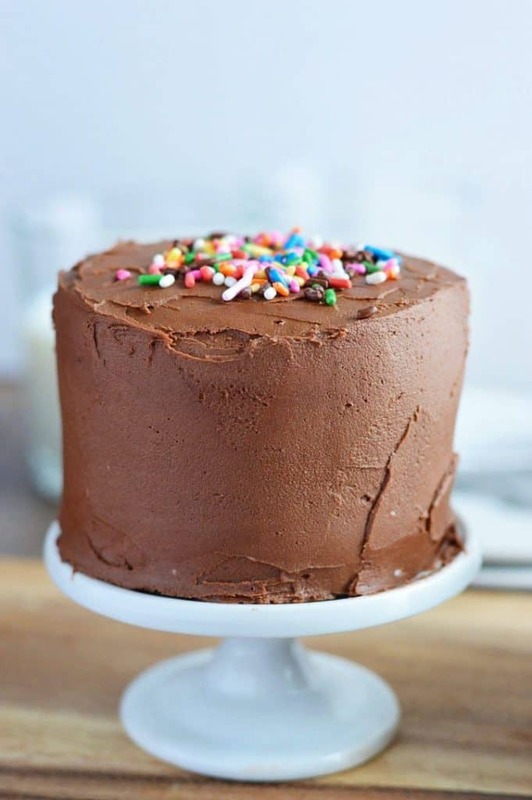 Xanthan gum acts like gluten would in baked goods and is a necessary ingredient in many gluten free baking recipes. If the recipe calls for it, do not omit it unless you’re using a blend that already contains it. 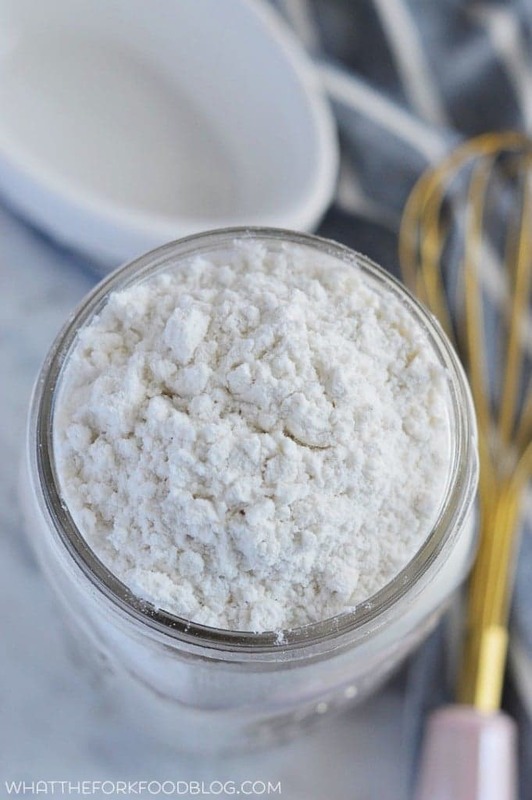 Coconut Flour – I don’t use coconut flour regularly, but I always have some in my cabinet for when I do some grain free baking. I’ve used Bob’s Red Mill and Better Body and they were both good. Almond Flour – I like and use two brands of almond flour. I used Bob’s Red Mill Almond Flour in my Peppermint Macarons with great success and I’ve used Anthony’s Culinary Grade Almond Flour in baked goods like my Grain Free Blueberry Muffins and Grain Free Cranberry Orange Muffins. Anthony’s also made a great grain free “breading” in my Grain Free Pork Milanese. I think that Bob’s Red Mill Almond Flour is good for baking IF you run it through a food processor to make it a bit finer. I find that I don’t have to do that with Anthony’s unless I’m making macarons. I always have a several kinds of raw, unsalted nuts on hand. I keep them in the freezer for longer keeping. Ones I always have are almonds, Cashews, pecans, and walnuts. Occasionally, I will stock up on raw, unsalted macadamia nuts when I find them for a good price. I included nuts in my pantry staples because I use them to make my own nut butters and they’re key ingredients in recipes like my no-bake chocolate walnut cookies. You can also use raw nuts to make your own nut flours. 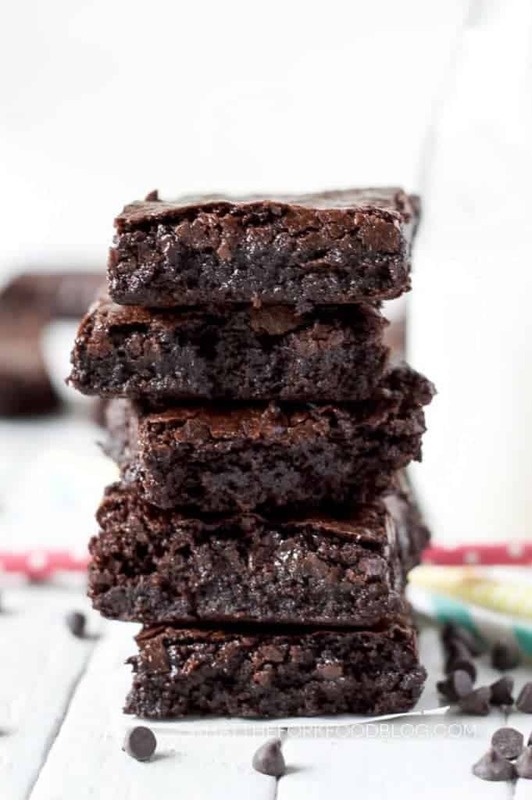 Cocoa Powder – I use 3 kinds of cocoa powder: Hershey’s Cocoa Powder, Hershey’s Special Dark Cocoa Powder, and Rodelle Gourmet Baking Cocoa (Dutch Process). I prefer the taste of Rodelle’s baking cocoa – it gives such a deep, rich chocolatey flavor. 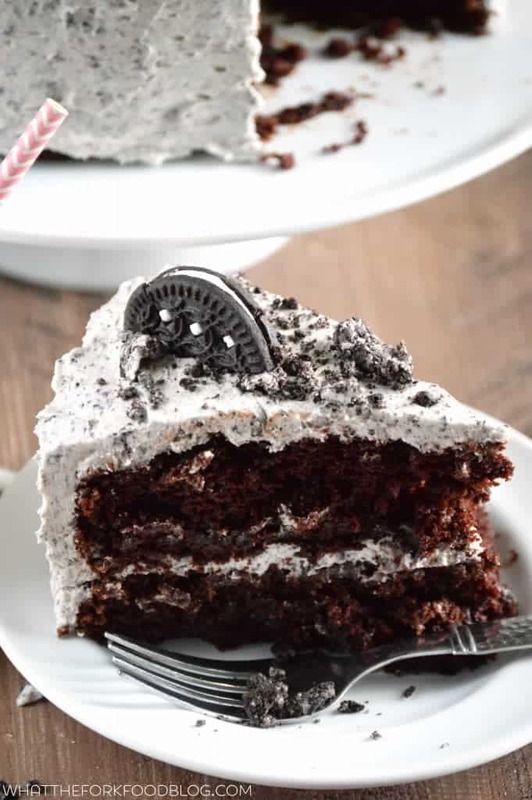 It gives such an amazing flavor to my mini chocolate layer cake and my gluten free cookies and cream cake. Chocolate Chips – I use Enjoy Life Foods chocolate chips (mini, regular, and chunks) for most of my recipes since they’re dairy free and paleo friendly. When I don’t need dairy free, I use Guittard, Hershey’s, or Nestle. I also use Baker’s baking chocolate bars and Green & Black’s Organic Chocolate Bars (70% cocao). My top choices would be Enjoy Life Foods and Green & Black’s for their taste, quality, they’re dairy free, and they melt really well. Baking Powder – I use Rumford Aluminum Free baking powder in all of my recipes that call for baking powder. 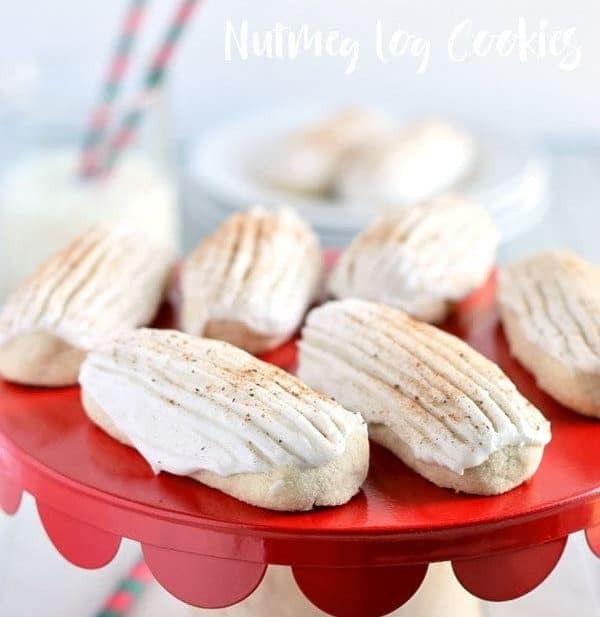 Baking Soda – I use Arm & Hammer brand for all my recipes. Be sure to check the dates on your baking soda. Salt – I use fine sea salt in almost all of my baking and cooking. Occasionally, I will use kosher salt. I usually use Diamond Crystal brand. Vanilla – I mainly use Rodelle Vanilla Extract but I also make my own. You can see how to make your own vanilla extract here. Cornstarch – while I don’t use it all the time, I have this on hand for homemade stir fry, homemade Chinese food, and puddings/custards like the custard in my coconut cream pie. Muffin Mix – I haven’t tried too many muffin mix brands as I prefer to make muffins from scratch. However, I have tried Bob’s Red Mill mix and it was excellent. I’ve also tried Enjoy Life Foods muffin mix and used it in my Cranberry Chocolate Chip Muffins. 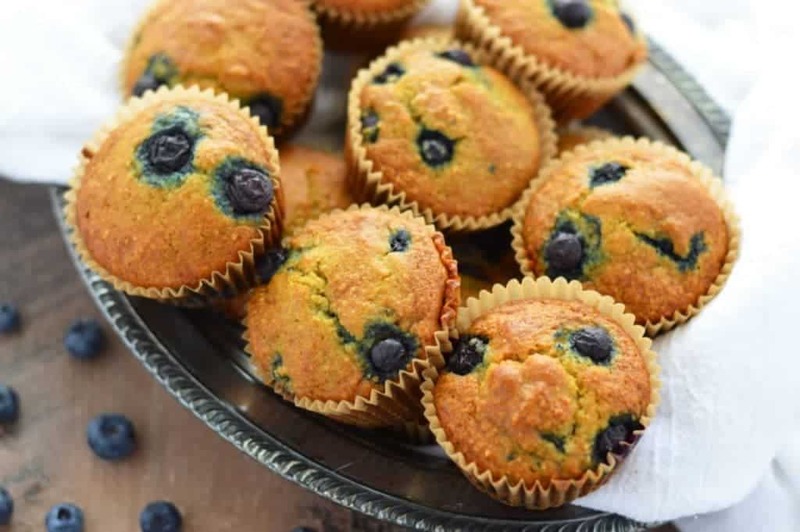 The mixes are very different – Bob’s is very light and similar to my own homemade muffins. Enjoy Life Foods is a bit “denser” and has more of a “whole wheat” feel to it. 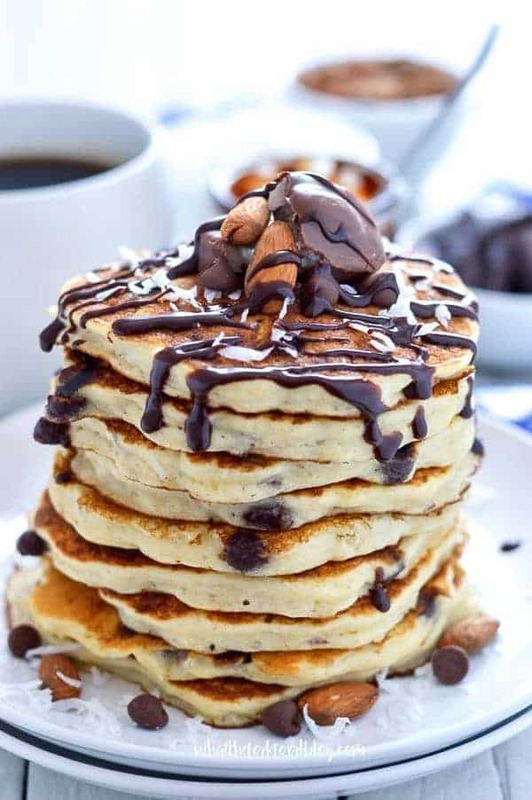 Pancake Mix – the only pancake mix brand that I have tried is Pamela’s Baking and Pancake Mix and Pamela’s Sprouted Buttermilk Pancake Mix and those are honestly the only ones I need to try. The original mix is great and produces super light and fluffy pancakes. I used the buttermilk pancake mix for my almond joy pancakes and it’s definitely a mix I want to have on hand. These days, I make my own Gluten Free Pancake Mix and store it in a mason jar so it’s always ready to use. It’s basically the dry ingredients for my fluffy gluten free pancakes, which are our absolute favorite pancakes to have. We make them every week! Honey – I prefer filtered raw honey, which I can find at my local grocery stores and even Walmart. I like using honey to sweeten my overnight oats and smoothies. I would recommend getting local honey – if you can get honey close to where you live the better. While it’s not local, Manuka Honey is a trending product these days. Coconut Palm Sugar – I use coconut palm sugar in a couple of my recipes. It’s a low-glycemic paleo-friendly sweetener. Better Body, Wholesome, Madhava, and Nutiva are good brands but there are more brands available as coconut sugar is becoming more popular. 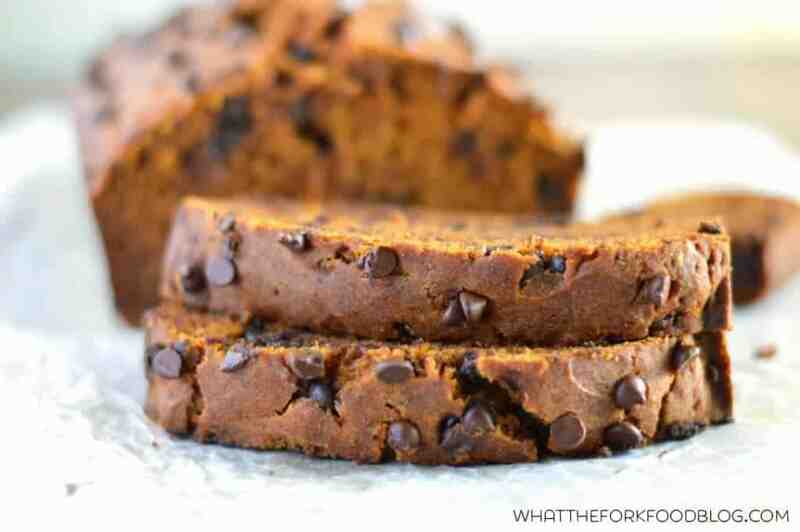 I use coconut palm sugar as the main sweetener in my Paleo Hot Fudge Sauce and even in my Pumpkin Chocolate Chip Bread. Pure Maple Syrup – This is the good stuff, not “pancake syrup”. I usually find my 32 oz. Organic Pure Maple Syrup for around $15 or less at BJ’s Wholesale. Maple Sugar – made from pure maple syrup, this is a great granulated natural sweetener. I haven’t used this in any of my posted recipes but I have been using it to experiment with some paleo caramel sauce. Clean Eating with a Dirty Mind, one of my favorite cookbooks, also calls for it in several recipes which is why I always have it on hand. Some of my recipes call for regular dairy products but many of my recipes call for dairy-free alternatives. I use dairy free alternatives for my lactose intolerant daughter most of the time but I will use regular dairy when it really is the best option for the recipe. Coconut Milk, canned – I usually use canned coconut milk that contains guar gum. I don’t have an issue with it so I don’t purposely avoid it. Based on taste and texture, I prefer the canned coconut milk that contains gums which is purely my opinion and you may disagree. Brands I use most often are Native Forest and Field Day. However, I am not above using Goya, A Taste of Thai, or Thai Kitchen. Sometimes those are the only brands I can get at my local stores if I run out and need it in a pinch. For coconut milk that doesn’t contain gums, I have used Native Forest Organic Simple Coconut Milk. The only downside is that the milk is a bit “grittier” and isn’t as smooth. There are other brands available that don’t contain guar gum (like Trader Joe’s and Aroy-D Coconut Milk) but I haven’t tried them. Coconut Cream, canned – I call for an entire can of coconut cream in my vegan avocado ice cream. Trader Joe’s sells their own large can of coconut cream (14 oz) but since I don’t have a Trader Joe’s near me, I buy mine from Amazon. For 13.5 oz. cans, I buy Natural Value Coconut Cream. Native Forest makes 5.4 oz. cans which I use when I don’t need a whole can. I often use coconut cream in place of heavy cream in place of heavy cream in savory recipes (think cream sauces). I also always keep a large can of coconut cream in the back of my fridge so I can make coconut whipped cream any time I need it. I replace it as I use it so I always have a chilled can. ** Coconut Cream is not the same as Cream of Coconut. Cream of coconut is sweetened and used for cocktails like pina coladas. I also use cream of coconut in my coconut cheesecake as a sweetener. Culinary Coconut Milk – I always have this on hand for recipes that call for full-fat canned coconut milk but I don’t want to open a can. 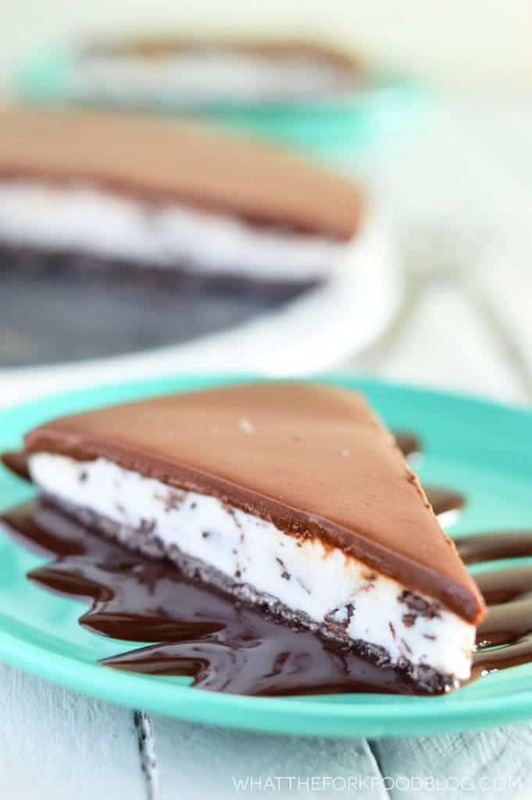 I often use culinary coconut milk when making chocolate ganache (in place of heavy cream) like in the frozen mint chip pie, pictured above. Coconut Milk Beverage – I use So Delicious Unsweetened Coconut Milk Beverage for all of my recipes that call for unsweetened coconut milk as an ingredient. You can find it shelf stable (but needs to be refrigerated after opening) or you can find it in the refrigerated section at the grocery store. It works in place of regular milk in recipes and only has a very slight coconut taste when drinking. When baked, it does not give a coconut flavor to your baked goods which is why I prefer it over nut milks. If you need to replace buttermilk, I use the coconut milk PLUS 1 tablespoon of white vinegar for every cup of buttermilk the recipe calls for. Sweetened Condensed Coconut Milk – I was so happy to find this product. I use it in my dairy free coffee creamer and my vegan avocado ice cream. I plan on making some dairy free fudge recipes with it soon! Coconut Milk Powder – I keep this on hand to make dairy free cocoa mix for my daughter. While I don’t use real butter all the time, it’s obviously still a staple for those recipes that just really need real butter. Extra Virgin Olive Oil is also another staple that I use in my marinades, for roasting veggies, and for sautéing. Nutiva Shortening – I use Nutiva as a butter replacement in many of my baked goods. I like the taste and texture better than Crisco. It’s also good in frosting but I only use it in chocolate frosting (and sometimes cream cheese frosting) as it is darker in color from the red palm oil. Spectrum Shortening – I mostly use Spectrum in my vanilla based frostings since it’s white like Crisco. Ghee – Ghee is technically not dairy free since it’s made from butter. However, it is lactose free, Paleo, and Whole30 compliant. I use it in my Paleo Hot Fudge and I cook with it often. I usually use Organic Valley brand because I can get it at my grocery store. You can also easily make your own. Avocado Oil – I’ve switched to using Avocado Oil in my baked goods. It doesn’t affect the taste at all. I buy mine at BJ’s Wholesale. Walmart also carries it at a “decent” price. I use Chosen Foods brand. If you don’t want to use avocado oil, you can replace it with canola or vegetable oil in my recipes for quick breads, muffins, and cakes. Coconut Oil – I don’t use coconut oil all the time, but I do use it occasionally. It’s great for making paleo chocolates, paleo Lemon Curd, and my Coconut Cake. I’ve used several brands – Nutiva, Thrive Market Coconut Oil, and Tropical Traditions are my preferred coconut oil. Typically, I buy whatever I can get at the best price depending on sales; which is usually from Thrive Market. PS – The only coconut oil I use is Virgin Coconut Oil. Coconut Oil Spray – I’ve recently replaced regular non-stick spray with Coconut Oil Spray. I don’t think I’ll ever switch back. Rice and beans are naturally gluten free and they’re definitely a pantry staple in almost any household. As far as rice goes, we usually buy Basmati or Jasmine. Barilla Gluten Free Pasta – Barilla is our favorite gluten free pasta that’s available in all my local grocery stores. Their elbows, spaghetti, and penne are regulars on our dinner table. I use the elbows and penne in one skillet dishes all the time where you cook the pasta in the pan with everything else. They also have fettucini, which is relatively new to their line. I received a box of it in my Love With Food Gluten-Free Box and I can’t wait for my store to start stocking it. Jovial Foods – Jovial makes some really great pasta – it would be my first choice if I were able to purchase it locally. Just be sure to get their gluten free pasta and not their pasta made with Einkorn, which is an ancient wheat and not gluten free. Rice Noodles – Rice noodles are great for stir fry. I always have one or two boxes of these in my pantry. They cook incredibly fast! General: We buy packaged gluten free snacks (think snack packs) at our local grocery store. Some of our favorites are Enjoy Life Foods bars, Enjoy Life Foods mini cookies, Kind bars, Bixby Co. bars + bites, and Larabars for quick snacks and bars. Glutino and Sharr are also great brands for snacks and we can find them at Walmart and our local grocery stores. Walmart (Great Value brand), Aldi (liveGfree), and grocery stores also carry packaged gluten free snacks like cookies, graham crackers, pretzels, and crackers. In addition to the brands already mentioned, look for Sharr, Lucy’s, Enjoy Life Foods, Pamela’s, Goodbites, Kinnikinnick, Mary’s Gone Crackers, Udi’s, Milton’s, Crunchmaster, and Breton gluten free. Some of our favorite crackers are Glutino Original Crackers, Glutino Bagel Chips, Milton’s Crackers (sea salt, everything, cheddar cheese, and multi-grain are all good), and Lance Gluten Free Peanut Butter Sandwich Crackers. Cereal: we prefer Chex, Puffins (Barbara’s brand), and Envirokidz. Envirokidz also has good snack bars. One Degree Sprouted Brown Rice Cereal is also good for gluten free rice crispies. 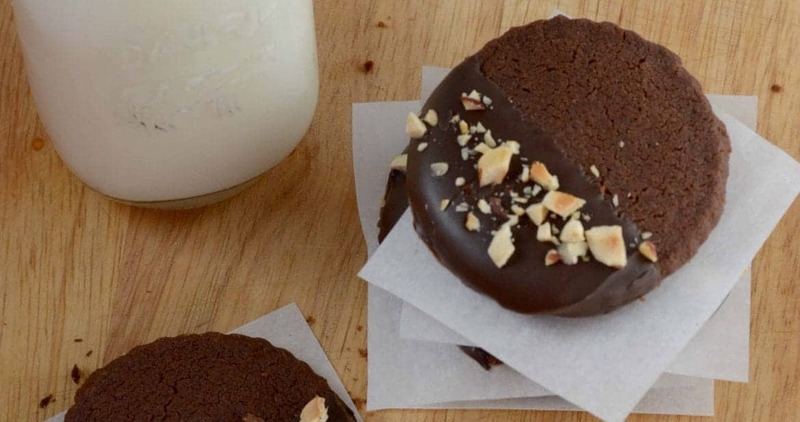 Cookies – I frequently use gluten free chocolate sandwich cookies (aka Oreos) in my recipes and I use and recommend the Great Value brand (Walmart), Nature’s Promise (Stop & Shop), Kinnikinnick, and Glutino. Other gluten free cookie brands we really like are Tate’s Bakeshop Chocolate Chip Cookies (gluten free line), Sharr shortbread cookies, Enjoy Life Foods Soft Baked Cookies (chocolate chip and double chocolate brownie), Lucy’s brownie crisps, liveGfree (Aldi) cookies, and Pamela’s Chunky Chocolate Chip cookies. Our absolute favorite packaged cookie is probably Tate’s Bake Shop Gluten Free Chocolate Chip Cookies – they’re thin, crispy and insanely delicious. Oatmeal – Be sure to buy gluten free oatmeal. 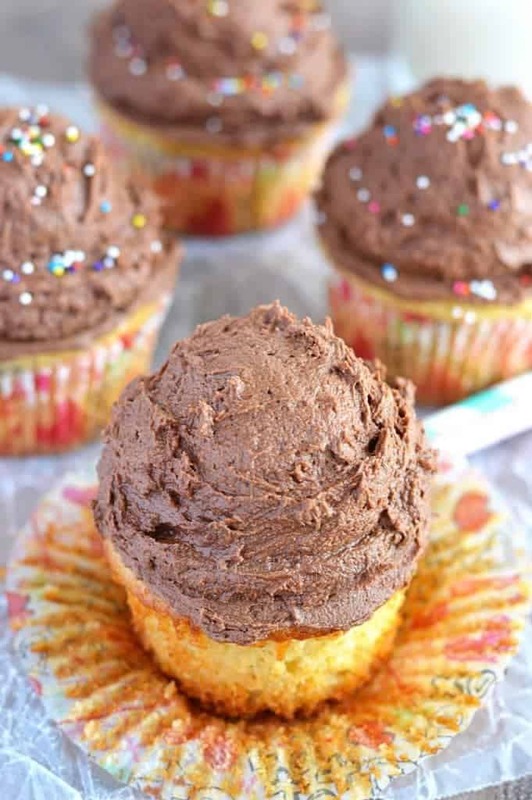 You can also use your food processor to grind it into flour. Certified and purity protocol are best if you have celiac disease. My non-celiac gluten sensitive husband does fine with gluten free Bob’s Red Mill oats and gluten free Quaker Oats. When purchasing gluten free oatmeal, please read labels and make decisions that work for you and your family. Jules from gfJules has a great post about gluten free oats if you have questions about it. Bread: we buy a variety of brands. Aldi makes a great sandwich bread (LiveGfree) that doesn’t have to be kept frozen – this is our favorite for BLT’s and tuna/chicken salad sandwiches. Sharr makes great ciabatta rolls that I often use to make gluten free garlic bread. Canyon Bake House has really great bread, hamburger rolls, hot dog rolls, and bagels. Their Mountain White bread is great for sandwiches, gluten free stuffing, and making homemade breadcrumbs and croutons. Their cinnamon raisin is great for French Toast and French Toast Casseroles. Canyon Bake House is definitely our go-to brand from gluten free bread. If you like sourdough, Bread Srsly makes some great sourdough loaves and rolls. Since I cover mostly baking recipes on my blog, I’m only going to briefly mention some gluten free staples for cooking. Many of the things I’ve already listed will carry over to cooking but there are a few more you should be aware of. Check your labels on foods like Soy Sauce (I use San-J), Worcestershire Sauce (I use Lea & Perrins), Steak Sauce, and Salad Dressings. 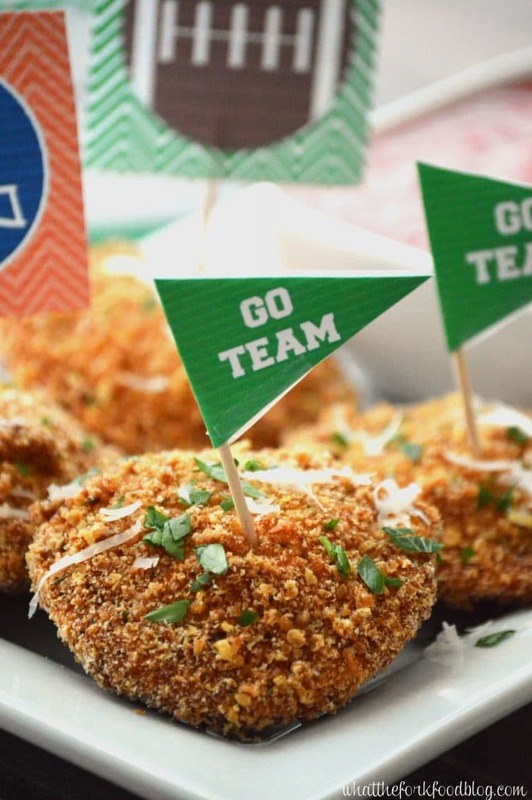 Glutino and Ian’s make good bread crumbs but I usually use 4C brand (for chicken cutlets, my gluten free fried ravioli, gluten free spinach and artichoke risotto balls, homemade tater tots, and sausage stuffed fried olives). The 4C brand gives fried foods a really crispy exterior. I like to double-bread too for that extra crispy yum factor. Thrive Market – I am a paying member of Thrive Market and to me, it’s worth it. They have SO many ingredients that I need for all of my gluten free baking, cooking, and recipe development PLUS their prices are usually much better than what I’d pay at the grocery store. I like to cross-check their prices with Amazon before making an order just to be sure I’m getting the best price I can. I usually order in bulk so I always meet the minimum for free shipping. PRO TIP: Thrive Market usually offers a free gift about once a week in their emails so I like to wait for something good like coconut oil, almond butter, nuts, or Primal Kitchen products (like mayo or snack bars) before placing my order. Amazon – Amazon has pretty much everything I need and their prices are often very good. If I can’t find an ingredient in store, I know I can usually find it here. Local Co-Op – I can find many ingredients I use at my local co-op, though I still have to drive a half an hour to get there which isn’t something I always like to do. If you have a co-op near you, I suggest checking it out and seeing if their prices and membership are worth it to you. Local Stores – Many grocery stores in my area are increasing their gluten free products. Stop and Shop is in the northeast and is one of my local stores that carries SO many great gluten free products. I have found that they have become my go-go store because they have almost everything I need. If they started carrying Arrowroot, I’d be set ???? Whole Foods and Trader Joe’s are also great stores for gluten free products. Since they are both 45 min to an hour away, I do not shop at either of them. Walmart – Walmart has a decent line of their own gluten free products. The Walmart closest to me has a small gluten free section but there are also gluten free items and products integrated into the rest of the grocery aisles. For example, there are several kinds of gluten free flours and cake mixes in the baking aisle in addition to the ones in the gluten free section. The same goes for bread crumbs, pretzels, and even pasta. Aldi – Aldi has their own line of ready-made gluten free products and baking mixes, liveGfree. We really like their sandwich bread, pizza crust mix, pre-made pizza crust, wraps, and the cookies and snacks that we’ve tried. Target – Target has a number of gluten free products that my family enjoys. They’ve got a great selection of Larabars, which we always have on hand. They also have some gluten free Annie’s products and gluten free baking mixes. Great list of resources. I use a lot of the same products that you do, except that I use King Arthur’s flour blend or the gluten free classic blend from Authentic Foods; for almond flour, I get Wegman’s store label. It’s the least expensive I’ve found, and the quality is good. Walmart online has a huge list of gluten free products that they don’t carry in their stores, but at times their pricing is insane. For instance it can sometimes be cheaper to buy the items individually, instead of by the case. Why charge more for a case of six when someone can buy six eaches for less?! They are good to check before buying elsewhere, because sometimes they have good price cuts. I always check Wally and Amazon before I order something. Right now Amazon’s prices are better, but sometimes it’s the opposite. The best new product I discovered at Walmart was the Lance gluten free mini peanut butter sandwich crackers. They also make a cheese sandwich cracker, which isn’t as good, but it was a nice find. They are almost never in stock so I buy mine at Amazon, where they are almost always in stock, and much cheaper on Subscribe & Save. I wish they would just sell boxes of the mini crackers. I would rather use my own peanut butter or cheese spread on them! I love Rodelle’s cocoa! This is such a handy and informative list. 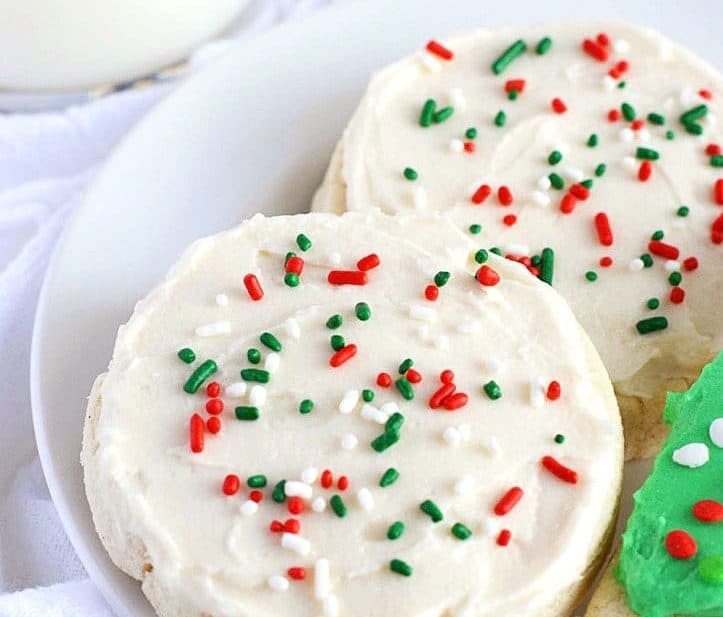 I’m not gluten-free, but I have so many friends who are and they will love this! Plus, it helps whenever I attempt to make gluten-free desserts for them! What a wonderful list! I’m sure it’s a big help to all of those who are just starting to navigate the world of gluten free foods. This is super helpful! Thanks for sharing! Oh, my! All of these goodies look amazing! This is a really great resource to have on hand. I loooove using Bob’s Red Mill GF 1:1 flour! Such a terrific and comprehensive resource, thanks for sharing this! 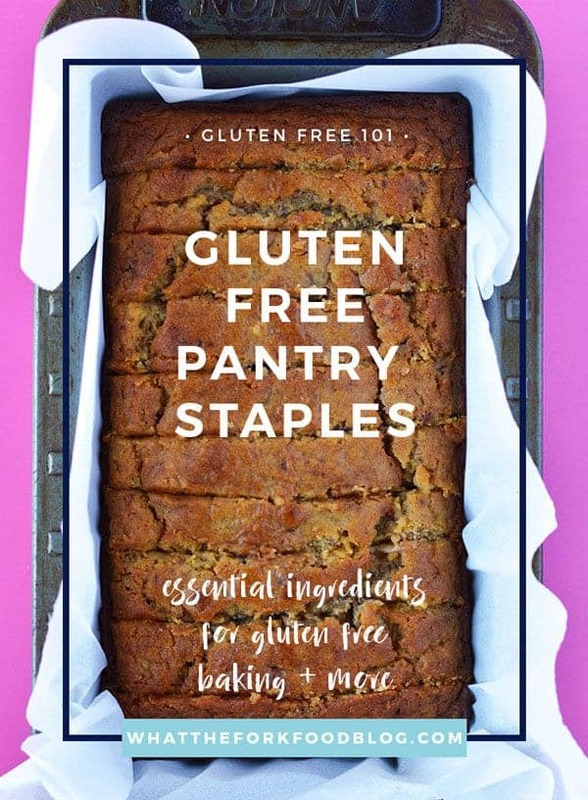 This is an indispensable guide I’ll definitely be using the next time my gluten-free aunt comes to visit! Thanks!